The Sacred Page: RBL Review of Gray's "The Temple in Mark"
There's a very helpful review of an important book written by my friend Tim Gray in the latest RBL. Gray's book, The Temple in the Gospel of Mark, was originally published by Mohr-Siebeck. Thankfully, Baker Academic has recently released a more affordable reprint of the title. 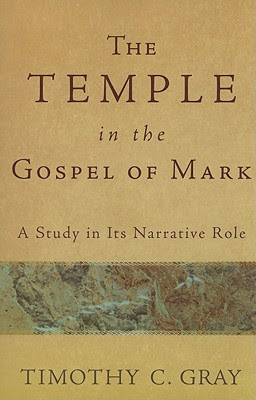 "The intertextual work is thoughtful, disciplined, and engaging in providing a rich context for understanding Mark’s use of the temple motif, thereby filling a gap in scholarship." Check out the full review here and secure your copy of Gray's masterful treatment here.